The fellowship is open to Iraqis with university degrees who prove their commitment to return to Iraq after completing their studies in America. 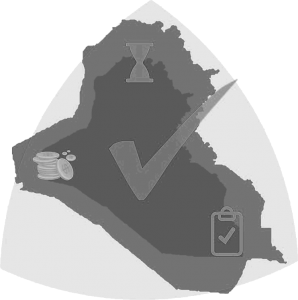 Iraq Project Management Organization (IPMO) provides a service to those who wish to apply for the Fulbright scholarship. The service includes consulting, checking the electronic form, translation and actual submission of the form through the organization’s email. The service is free for those with a valid membership card for Iraq Project Management Organization (IPMO). The service is available to non-members at a cost of $200. ٥-ڕێکخراوی کارگێڕی پرۆژەکانی عیراق هاوکاری پێشکەشی ئەو کەسانە دەکات کە ئارەزووی بەشداری کردنیان هەیە لە بەخشن فۆڵبرایت پەروەردەیی خزمەت و داخوازی کردن و وردبینی خوازتننامە ئەلکترۆنیە و وە وەرگێران و پێشکەش کردنی لە ڕێگەی ئیمیڵی ڕێکخراوەکەمانە .